Born Elizabeth Ann Wood - Lizzie to family and friends - the daughter of Adam Wood, a police sergeant. Lizzie started work at Eagley Mills at the age of 13. She joined the Card Room Workers Association. Her brother John took her to the first Labour meetings. She became a member of the Independent Labour Party. She met her future husband, Major Ashmore, when her brother addressed a coal strike meeting on the steps of Bolton Town Hall c. 1919. When her father retired from the police he and his wife emigrated to Canada and joined their other children there. Only Lizzie and Major stayed in England. They had three children; Thomas, Elizabeth and Alice. 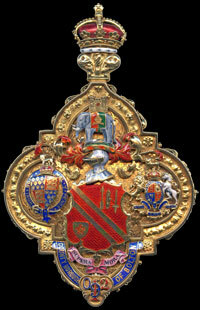 Made Alderman 1945, Magistrate 1947, Honorary Alderman 24 June 1970. 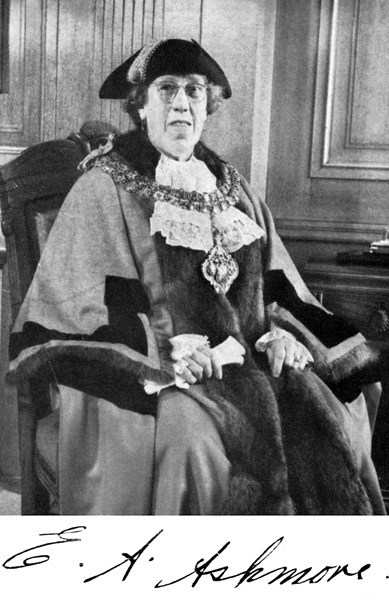 She became the youngest woman on Bolton Council in 1935. By 1940 she was on the Public Assistance Committee (Social Welfare). She was appointed Chairman of the Clothing and Stationery Committee in 1942. Her husband also became a Councillor for East Ward and was made an Honorary Alderman in 1968. 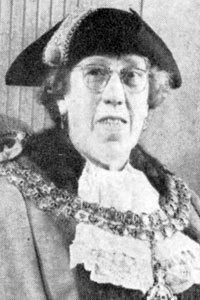 Her two sisters travelled from Canada to see her inaugurated as Bolton's second female Mayor in 1958. They had not seen her for 34 years. Lizzie and Major ran a newsagent's shop at 50 Windley Street, Bolton. Elizabeth Ashmore Children's Home (later Elizabeth Ashmore House) was named after her in recognition of the immense amount of work that she had done on the Children's Committee which she chaired from 1952 to 1959. 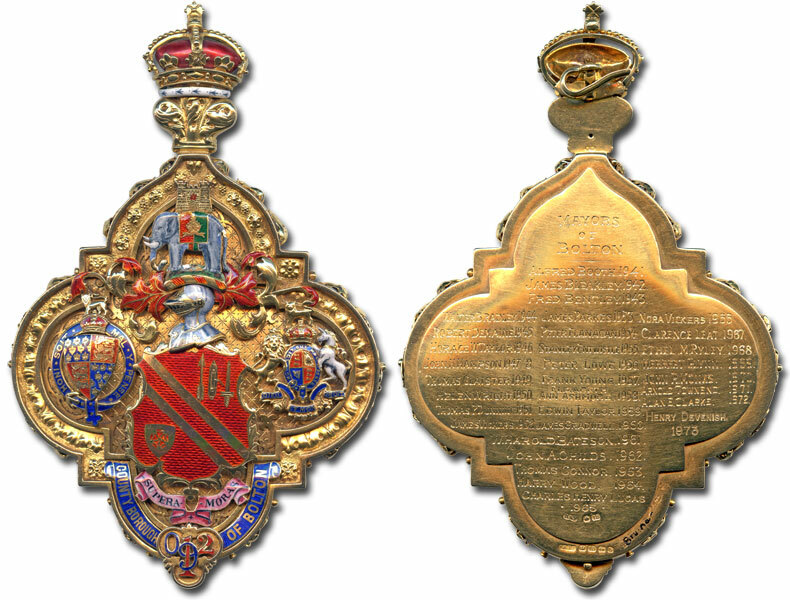 Her daughter, Mrs Elizabeth Wild, was Mayoress. Formal portrait of Elizabeth Ann Ashmore as Mayor of Bolton.